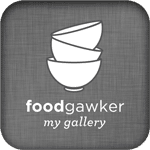 How to make chicken stock and semolina dumpling soup – Romanian supa de galusti. Post three in the Broths and Stocks Series is the chicken stock, probably the most popular stock there is. It is definitely my favorite stock, nothing can ever be so good and comforting as a good chicken soup made with homemade chicken stock. And the best things you can eat with your chicken stock are the Romanian semolina dumplings. Everyone, who ever had anything to do with Romania, must know the famous Supa de galusti. I can imagine it to be the most commonly cooked dish everywhere in Romania, every child grew up eating this on a regular basis. 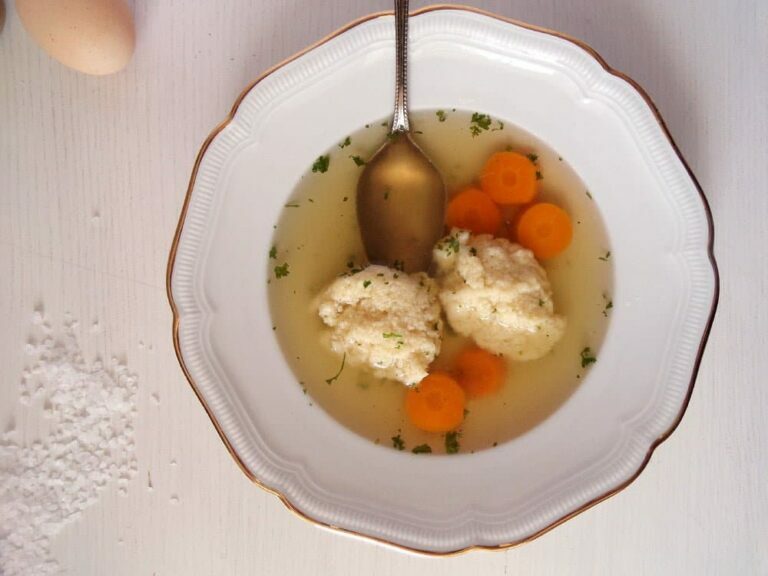 A really simple and good chicken stock, a few carrots and the semolina dumplings, it doesn’t get any better when it comes to soup. Few and cheap ingredients and lots and lots of flavor and goodness. One of those chicken soups for the soul, I would say, definitely for any Romanian soul on this planet. The way I make this chicken stock is very similar to the way I made the beef broth before. This time I use chicken and the cooking time is longer. You can, of course, make this stock using beef just the way you can make the broth from a few days ago using chicken. But there is quite a difference between the broth and the stock when it comes to taste. The broth is a very light liquid, which needs a bit of prepping when making the soup, while the stock is pretty much done after adding some salt and pepper. I make broth mostly to serve it as a light soup before a main course, for guests most of the time. The stock – I use for making really nourishing soups, which can definitely be eaten as a main dish. 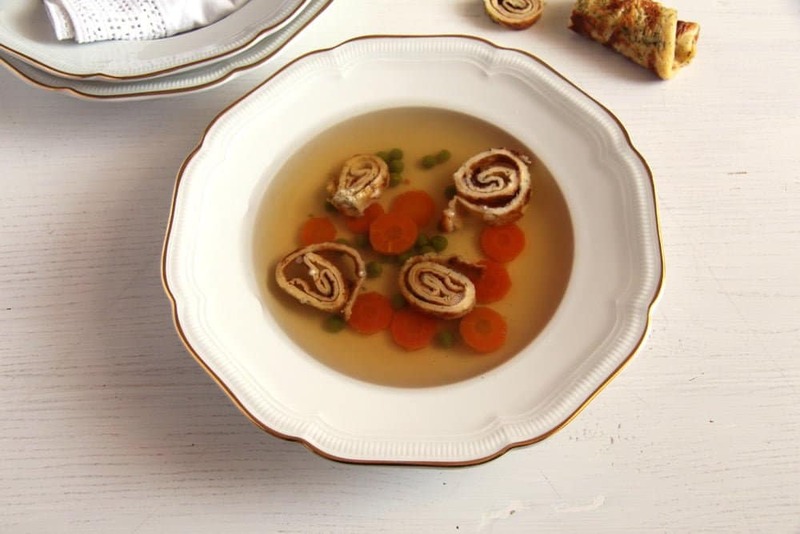 The depth of the stock’s taste cannot be achieved by the shortly cooked broth and that is why I much rather prefer to make stocks instead of broths. The preparation time and work is exactly the same, the cooking time is much longer, but you don’t have to stay beside the pot and stir all the time. Just turn the heat down and stop thinking about it for the next six hours or longer. And I cannot even begin to tell you how good this homemade chicken stock tastes. Nothing you could ever buy in a glass could compare to it, and trust me, I’ve tried almost all there is. I gave up trying to find something after I’ve made my own stock for the first time. Finally the semolina dumpling soup tasted the way my grandmother’s used to do. To tell you the truth I’d rather not eat chicken soup for months if I don’t have the time to make the stock, than make chicken soup with bought stock. 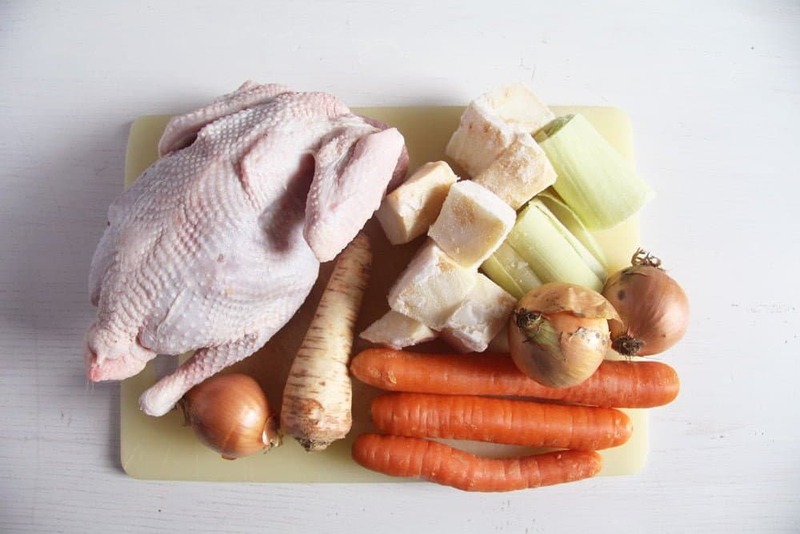 You can make this stock using a whole chicken or several chicken legs or the carcasses of roast chicken or roast chicken legs. You can also buy a bag of chicken giblets and add it to the pot. I only spend the money on a whole chicken, if I plan on making something special with the meat after cooking the soup something like chicken fricassee or Romanian boeuf salad (beef salad which I only make with chicken). Otherwise I use the carcasses that I normally freeze after having roast chicken or roast chicken legs and add a bag of chicken giblets or 2-3 whole chicken legs. The vegetables and spices I use are pretty much the same I use when making beef broth or stock, without the green bell peppers, I find they don’t fit so much when making chicken stock. And a few more words about the semolina dumplings. They are the best dumplings in the world if you ask me, but they can be a bit tricky to make for a beginner. The problem is recognizing when the egg semolina mixture has the right consistency. If you have too little semolina then the dumplings will disintegrate a bit around the edges and the soup will not be very clear anymore. I have been making the dumplings without measuring the ingredients for years. After the initial few times of eating stones, everything worked perfectly. Now I have been experimenting with the quantities in order to be able to give you a more exact recipe. Use a scale and weigh you eggs before breaking them, then add the semolina 2 tablespoons at a time and only add the last tablespoon if absolutely necessary. Try making a dumpling first and only add more semolina if it disintegrates too much in the soup. 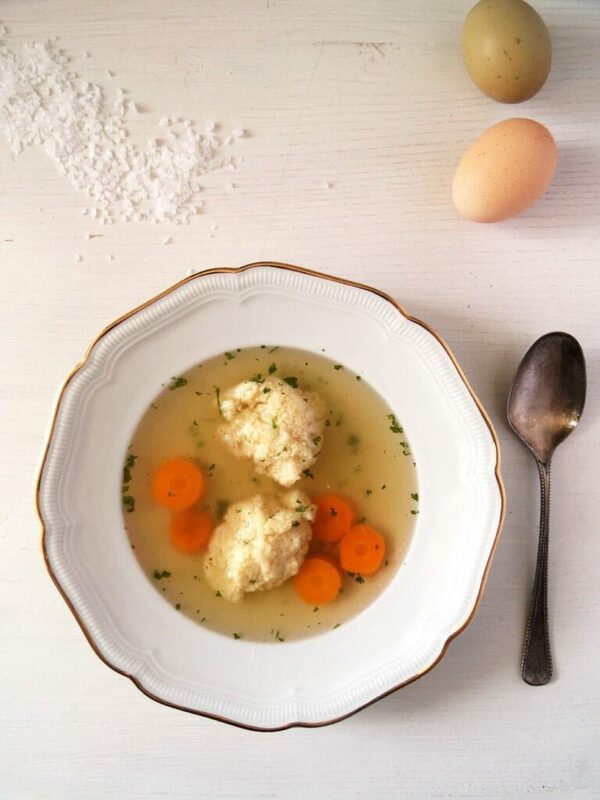 Semolina dumplings made with one egg will give you about 12 dumplings, enough for about 1 ½ liter/ 6 ¼ cups soup. I always make the double amount, we do love our dumplings. And just one sentence more: this is both my kids’ favorite meal. To make the stock place all the ingredients in a very large pot, cover with the water and bring to a boil. Turn the heat to very low, skim the foam if necessary and leave to simmer very gently, uncovered, for about 6 hours. Strain the stock, keep the meat and discard the rest. 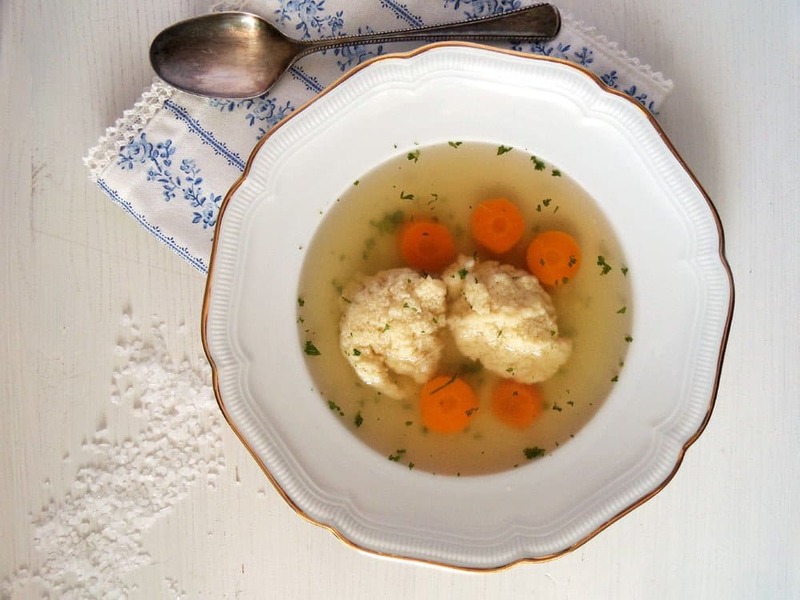 You could keep the carrots as well, if you make the semolina dumpling soup immediately. Otherwise I throw them away (there isn't a lot of taste left in them anyway) and use fresh carrots for the soup. Place the stock in a clean pot and bring again to a boil. Let boil rapidly for about 10 minutes more. Adjust the taste with salt and pepper. If you want to keep the broth for several day, fill it in clean bottles or jars. Place the lid on immediately and leave to get cold. It will keep in the fridge for several day. If you want to keep it longer, place into smaller containers and freeze. (I normally make a soup with it and refrigerate the rest, I always manage to use the leftover stock within a few days by adding it to various recipes requiring a smaller amount of stock). To make the dumpling soup, pour about 1 ½ liter of the stock in a soup pot. Peel the carrots and chop them into slices. Give them to the stock and bring everything to a boil. In the meantime make the dumplings. Separate the egg. Beat the egg white with the salt until quite stiff, but not as stiff as you would need it for baking. Add the egg yolk and the vegetable oil and incorporate carefully. Add the semolina two tablespoons at a time and fold it in gently. After adding 6 tablespoons of the semolina, the consistency should not be pourable anymore and you should be able to trace marks on it with the fork. Add a maximum of one level tablespoon semolina if you think that the batter is too soft. Leave to stand for 5 minutes. The soup should be boiling now. 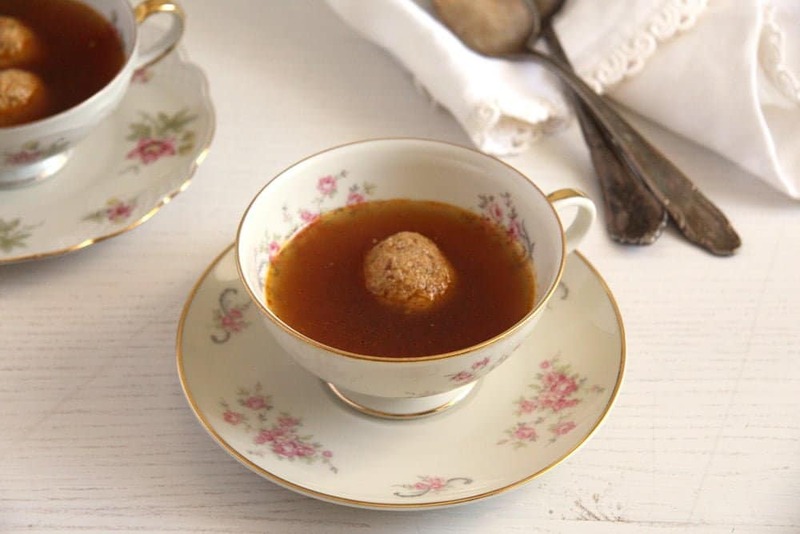 Turn the heat down to medium-low and add ½ cup cold water to the stock (my aunt and many others say this is necessary in order to scare the dumplings, so that they will not get stony). Give the dumplings to the soup using a teaspoon, fill about ½ -3/4 of the teaspoon with batter and let it glide into the soup (you should immerse the teaspoon in the soup before starting). Cover the pot leaving a crack open and cook the dumplings until soft, it should take about 10 – 15 minutes, but don't worry too much if it takes a bit longer. You can also turn off the heat when they are almost done, put on the lid and leave the pot on the stove for a while. They will continue cooking in the soup and become really soft and fluffy. Adjust the taste again and sprinkle some fresh parsley on top. The same with me, Kate, I could eat dumplings any time. Another wonderful soup, Adina. I’m now craving soup! You are inspiring me to make stock and broth more often a I usually rely on the store bought stuff for convenience. Thank you, Thao. Making the stuff is really easy, you just need a bit of time, I think that is what is keeping most people from making stock more often. My grandparents are Hungarian from Transylvania. This recipe is a bit different than “our” soup, but the dumplings (daragaluska) are perfect. I would ask my mother to make them when I was sick. We has chicken soup every Sunday after church. Liver dumplings (made with chicken liver, not beef, are also a family favorite. (Csirke becsinalt-leves. I think this soup is made in every single home in Romania, it is the best ever, no matter what the variations are! :):) I have never had it chicken liver dumplings I would like to try it, I love chicken liver.